Os tractores Valtra são reconhecidos pela sua fiabilidade e economia no que toca a manutenção e serviço. Os tractores são concebidos para uma manutenção fácil e rápido acesso a todos os pontos de assistência. Por sua vez, isto resulta em baixos custos de funcionamento do tractor, uma vez que a manutenção não requer muito tempo e não interrompe o tempo de trabalho. The Valtra Training Centres around the globe are responsible for the training of our international servicing and spare parts personnel. Training ensures high-quality and consistent servicing, as well as a rapid flow of information from our customers to the entire Valtra organisation. We recommend that you rely on the well-trained, professional Valtra service dealer who has the right tools and equipment to tackle any service item in your tractor. While allowing our trained professionals to take the responsibility for the maintenance, you can concentrate on your own work. When it comes to Valtra, the genuine choice is the only choice! 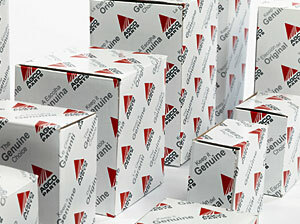 With hard working components, why ever take the risk of using non-genuine replacement parts? For more information contact your local Valtra dealer. 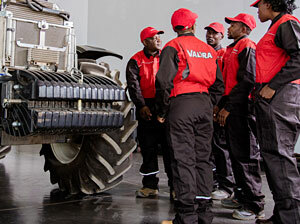 Regular and thorough maintenance prolong the reliable operation of your Valtra tractor. Maintenance costs are small compared with repair costs resulting from lack of maintenance. The most important measures are those which you carry out yourself, including lubrication and various checks and adjustments. You can find detailed service and maintenance instructions in your operator's manual. There is no trying. There is just doing. An out of season inspection puts YOU in control. Of your costs. Of your uptime. Call your Valtra dealer for an out of season inspection today.